The U.S version of "The Initiation" is Region A/B Locked. HERE S TO BEING YOUNG... STAYING YOUNG... AND DYING YOUNG. 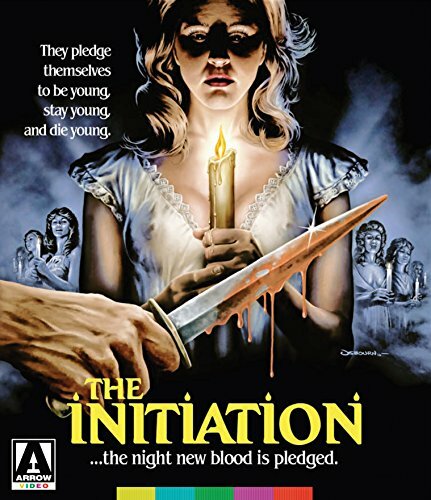 Marking TV star Daphne Zuniga s debut in a leading role, The Initiation ranks amongst the finest of the college-based stalk-and-slash flicks now finally restored in glorious High-Definition! Kelly s new sorority has a special initiation ritual in store for her an after-hours break-in of her father s department store. But what begins as a night of harmless college fun turns sour when, once inside the enormous mall, Kelly and her fellow pledges find themselves locked in for the night... with a deadly intruder stalking the corridors.